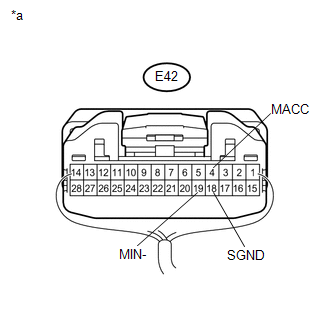 Using this circuit, the radio and display receiver assembly sends power to the inner rear view mirror assembly (amplifier microphone assembly), and the inner rear view mirror assembly (amplifier microphone assembly) sends microphone signals to the radio and display receiver assembly. 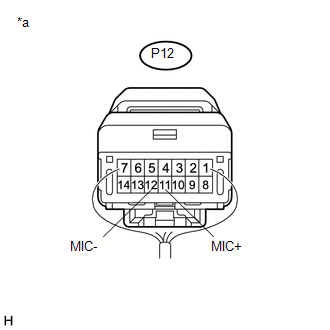 (b) Connect an oscilloscope to terminals 11 (MIC+) and 12 (MIC-) of the P12 inner rear view mirror assembly (amplifier microphone assembly) connector. 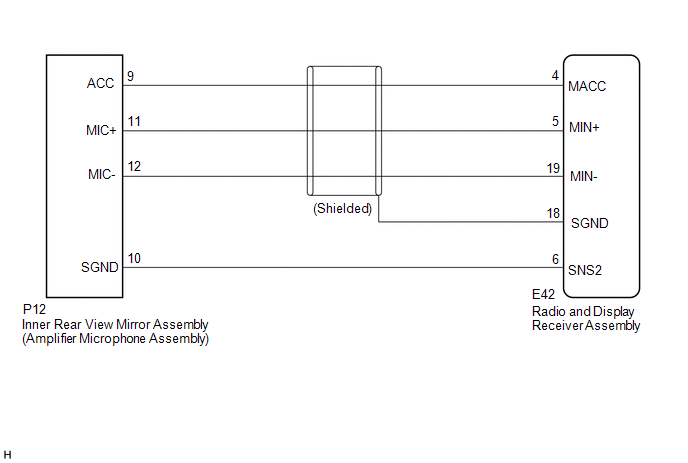 (c) Check the waveform of the inner rear view mirror assembly (amplifier microphone assembly) using the oscilloscope. 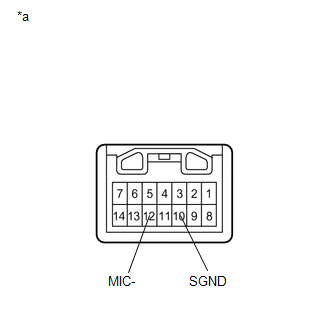 A waveform synchronized with the voice input to the inner rear view mirror assembly (amplifier microphone assembly) is output. 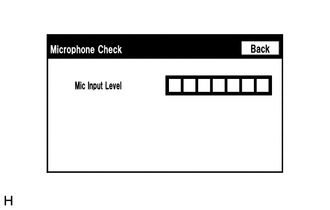 A waveform synchronized with the voice input to the inner rear view mirror assembly (amplifier microphone assembly) is not output.